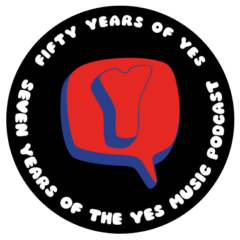 The one hundred and fifty eighth episode of the Yes Music Podcast featuring three live versions of Sweet Dreams from Time and a Word. What are the main differences in the performances? 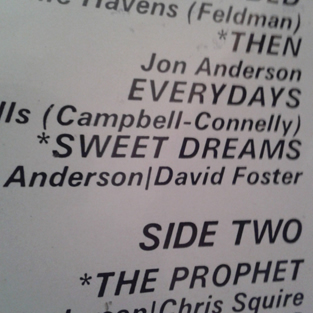 How many different keyboard players are featured? What can we learn about the state of the band from each performcnce? When I think of early Yes Time and Word album was just so much more than the radio crowd in the US new and so I think that shaped at least my listing preference.Hearing music like that for me was so awesome so new. I grew up in Motown and that was a movement all of its own great music great sounds. When I heard Yes for the first time that was it I was hooked for life! I believe that who ever plays sings or performs Yes music has a deep rich understanding of there music and there dedication to the music because it always is about the music and I for one like the different spin or players that have made what ever Yes song there very own. 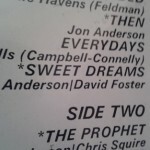 Didn’t Howe use a Fender Telecaster in 1975 for Relayer, not a Stratocaster as on Sweet Dreams in Lagano? Ah – good point and well-spotted! A mistake on my part. Thanks for the comment, Brian.